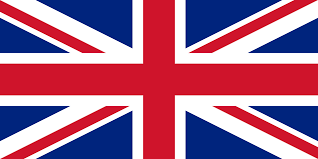 Are you working with geological materials? Are you interested in learning about the most advanced techniques and tools to study your geological samples? 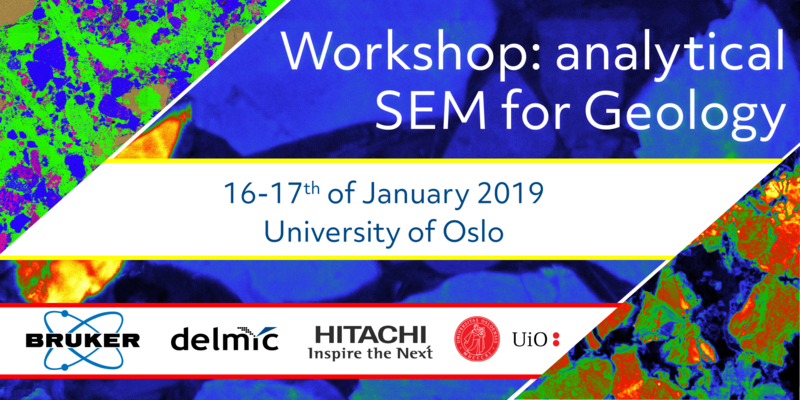 Then join a two-day intensive workshop in Oslo, which will focus on advanced analytical tools and methods for geological applications. The workshop will consist of the lectures from invited speakers and hands-on sessions, which will cover cathodoluminescence (CL) tools & methods, EDS & EBSD tools & methods and mineralogy software. 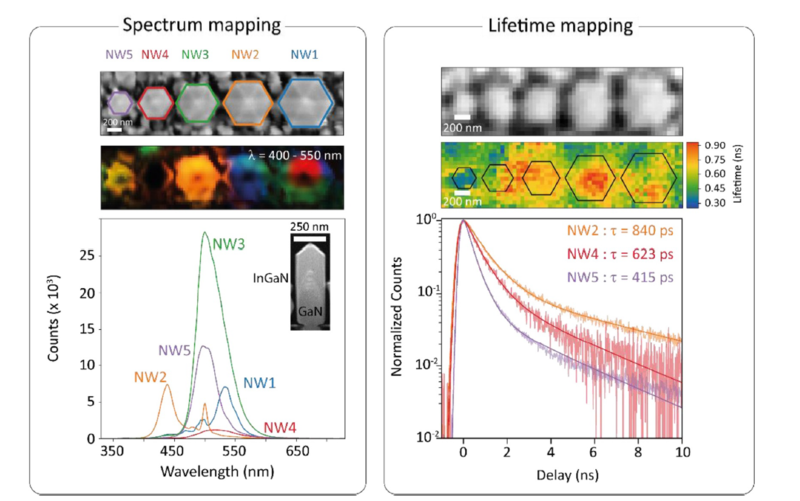 A new paper on "Complementary cathodoluminescence lifetime imaging configurations in a scanning electron microscope" was published by researchers from AMOLF, McMaster University, McGill University, the Max Planck Institute for the Science of Light, University of Michigan, Delmic and Thermo Fisher Scientific. The paper introduces an elaborate analysis and comparison of time-resolved techniques and characteristics. 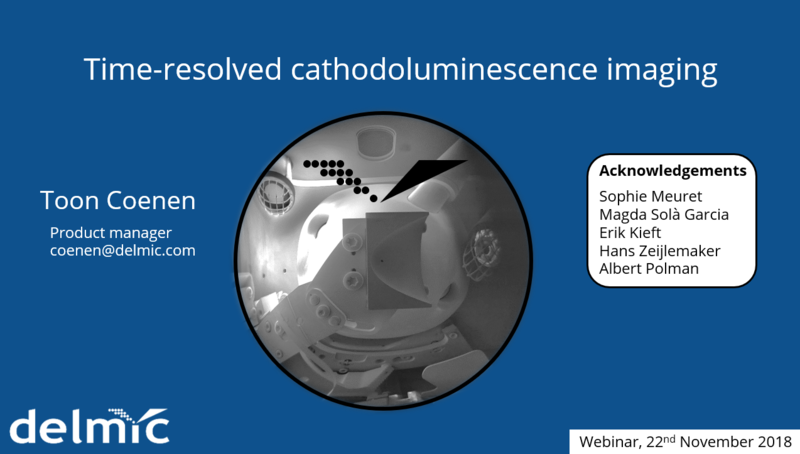 This morning, the first webinar on time-resolved cathodoluminescence took place. 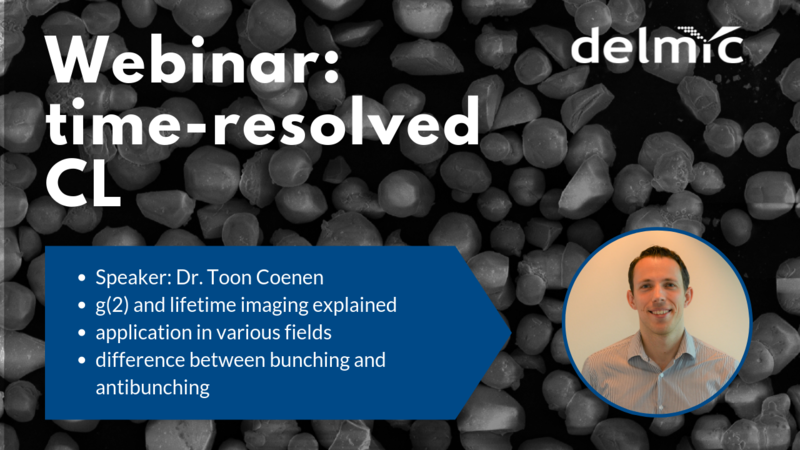 In this webinar our cathodoluminescence specialist Dr. Toon Coenen covered time-resolved techniques, such as lifetime imaging and g(2) imaging and the ways to perform them. He also dedicated part of his presentation to show the experiments that have been done with nanostructured semiconductor GaN. For those who have missed the opportunity to watch the webinar live, it is now available on our website for free.